This is what one gets when you ask someone to pick letters for you to get the country you should write about that day. I get Myanmar, a beautiful country located somewhat appropriately on the “balls” section of Southeast Asia, lying along the Bay of Bengal and the Andaman Sea. Back when it was Burma, it was only regularly corrupt and killed and tortured people only following British rules for same. Now, though, it rates near the top of the pops for corruption and human rights violations, ruination of children, human trafficking, and the ever popular jailing people for talking. Oh I know, things are supposed to be getting better and tra la tra la the world is happily trading with Myanmar now, but sheesh. It has a long way to go before it is the sort of country you’d want to ask over for dinner, let alone a long weekend. Maybe drinks. Or a drink. But you just know if it gets a lot of liquor under its belt it will become all thrashy and argumentative and kill a bunch of helpless civilians or put Aung San Suu Kyi back in house arrest again on rice rations. It’s happened before. It seems that kind of place, given to thrusting itself around. People are poor, despite the rubies and diamonds lying about. There’s no spending on infrastructure, health, education. You know, people. But for some reason many western countries have decided to get all palsy-walsy with the place of late – US presidential visits, cosy little meetings here and there with various other “civilized” places. I know there have been big steps toward a more open society, but I can’t help but wonder if there is something else behind the new friendliness. Lessee. What’s the CIA Fact Book say about resources? petroleum, timber, tin, antimony, zinc, copper, tungsten, lead, coal, marble, limestone, precious stones, natural gas, hydropower. You know, if I were a suspicious kind of gal, I might think there was a plot afoot to get some copper or something, or tin, or even a diamond or two. Sorry. I sound bitter. 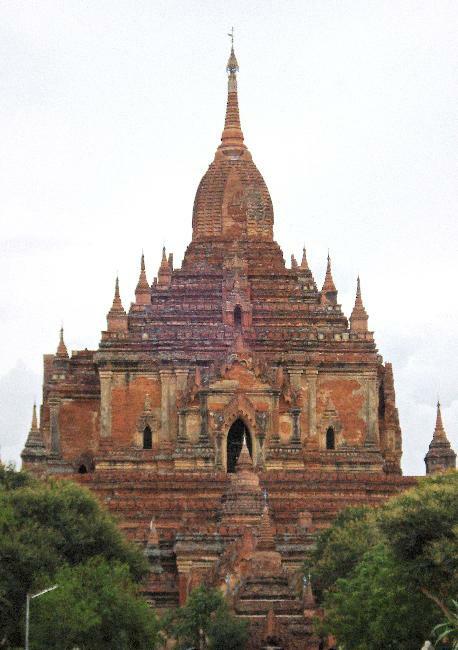 It’s just that some places are almost unbelievably precious – like jewel-strewn Myanmar – and yet so filled with evil. It breaks my heart. I mean, they have TIGERS in Myanmar/Burma. They have over 800 species of birds. Hundreds of species of fish, monkeys, flying foxes. So here’s to you, now-Canadians who have left Myanmar. Welcome. We are glad to have you here and may you live in safety and security and feel comfortable even though your oppressively pretty country is nowhere near.